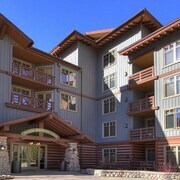 Situated in Copper Mountain, this hotel is steps from Copper Mountain Village and Copper Mountain Ski Resort. Woodward at Copper is 0.3 mi (0.4 km) away. 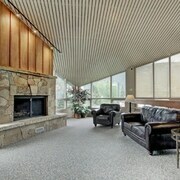 Location , location, location was our top priority and this one was great. Was a bit dated, lighting was poor, CD player did not work. Where to find Copper Mountain hotels near an airport? Where can I find hotels in Copper Mountain that are near tourist attractions? Copper Mountain has a wide range of comfortable short- and long-stay accommodation possibilities to choose from. On our handy booking pages you can browse 49 places to base yourself within 0.1 kilometres (0.06 miles) of Copper Mountain's heart. Finding a room near the heart of Copper Mountain couldn't be easier. 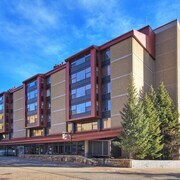 Expedia's booking page features the Ten Mile Haus By Copper Vacations and Telemark at West Village by Copper Mountain Lodging, which are situated within a 1-kilometre (0.6-mile) radius of the city center. 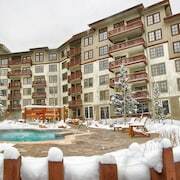 For somewhere to stay situated nearby to the Copper Mountain Ski Resort, you could look at the New Village By Copper Vacations or the Copper Mountain Condo Collection by Bighorn Rentals. 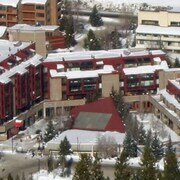 The New Village By Copper Vacations is 0.2 kilometres (0.1 miles) away from the Copper Mountain Ski Resort. The Copper Mountain Condo Collection by Bighorn Rentals is 0.1 kilometres (0.1 miles) away. The Center Village By Copper Vacations, Carbonate Real Estate Company and Copper Springs by Bighorn Rentals could be useful options for travelers seeking more economical hotel accommodation. 25 kilometres (16 miles) away from the heart of Copper Mountain, is the The Ritz-Carlton Club, Vail. 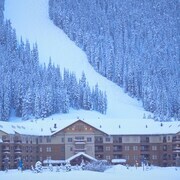 Alternatively, the Vail Resorts' Legendary Lodging at Ritz-Carlton Residences is located 25 kilometres (16 miles) away. The Solaris Residences and the One Breckenridge Place Townhomes by Great Western Lodging are two other hotel options in Copper Mountain. 30 kilometres (18 miles) to the southwest of Copper Mountain is Leadville, where you can enjoy Ski Cooper and Mount Massive Golf Course. The Super 8 Leadville CO and Delaware Hotel are a few of the hotel and apartment alternatives in Leadville. Alternatively, you could stay in Keystone, 20 kilometres (13 miles) to the northeast of Copper Mountain, where you can pick from the Keystone Condo Collection by Bighorn Rentals and River Run Village - by Key to the Rockies. If you're staying in Keystone, set aside some time to check out the Keystone Ski Resort and Arapahoe Basin Ski Area. Before you make tracks to Copper Mountain, take the time to peruse our Copper Mountain travel guide where you'll be able to get the inside scoop the many things to do and see this fascinating destination offers. What are the most popular Copper Mountain hotels? Copper Mtn - Cj306. 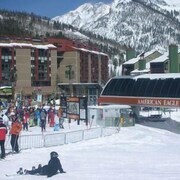 Pet-friendly, Large Ski-in/out Studio w/ View of Amer Eagle! Just Renovated/cozy Gas Fireplace. Copper Mountain Slopeside ! Quiet Studio Near the Action! Gorgeous Views! Ski In / Ski Out! Are there hotels in other cities near Copper Mountain? 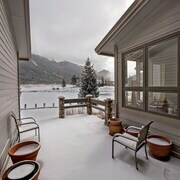 What other types of accommodations are available in Copper Mountain? Explore Copper Mountain with Expedia.ca’s Travel Guides to find the best flights, cars, holiday packages and more!